50 Things I Love (and Probably Couldn't Live Without) — EM. It's raining here on campus and everyone is moving in slow-motion, just waiting for class to be over so they can go drink coffee and take naps. I'm celebrating the cozy weather by cuddling up with my laptop and some magazines. With midterms just around the corner, I'm taking advantage of every spare moment I have to read my favorite blogs and magazines. I love reading magazines like Southern Living because they write about all of my favorite things: food, travel, gardening, and decor. Speaking of things that I love, lately a lot bloggers that I follow have been writing on the "50 Things I Love" tag, so I decided to jump in on that action and write my own post dedicated to the fifty things I love most in the world. 1. My glasses. Life would be really blurry without them. 2. Hardshell suitcases. They're so cute and durable. 3. Tanning lotion because I love having a little glow. 4. Tube socks are so comfy, cute, and quirky. I just bought a knit pair from GAP that I'm obsessed with. 5. The GAP sale rack, because GAP is the best and I am staunchly opposed to buying full-price clothing. 6. The LOFT sale rack. Refer to #5. 7. Good books that make you think. Lately, I've been reading a lot of nonfiction for some of my writing classes and much to my surprise, it's been very enjoyable. 8. Lemon sugar scrub exfoliator is my favorite DIY beauty product. Recipe to come! 9. My sleep mask. I'm kind of a diva when it comes to my sleep environment. If it's not completely dark in my room, I have a really hard time falling asleep. 10. My Nike running shoes. One of my favorite hobbies is running, and my orange Nike Lunars are my BABIES. I can't go a week, or even a few days, without slipping them on and heading out for a run. 11. My Bible is my saving grace. There's not a day that goes by where I don't need to curl up with my Bible in my lap and meditate on what it says. 12. Parks and Recreation is guaranteed to make me laugh. Leslie Knope is my spirit animal. 13. Burt's Bees Lip Balm with Vitamin E and Peppermint. I love peppermint flavored things and can't stand it when my lips are chapped, so this chapstick is the greatest blessing. 15. My Jilbere curling iron is one of the greatest investments I have ever made. I bought this curling iron when I was eleven years old and STILL USE IT. It's reliable and the best brand on the market. 16. Spotify Premium, the soundtrack of my life. 18. Cookbooks, especially ones by Paula Deen and Pioneer Woman. 19. Pinterest is a font of ideas and inspiration on life and blogging. 20. English and writing professors because they are so wise and I just want to follow them around all day and write down every smart thing they say. 21. Gilmore Girls, my comfort show. 23. 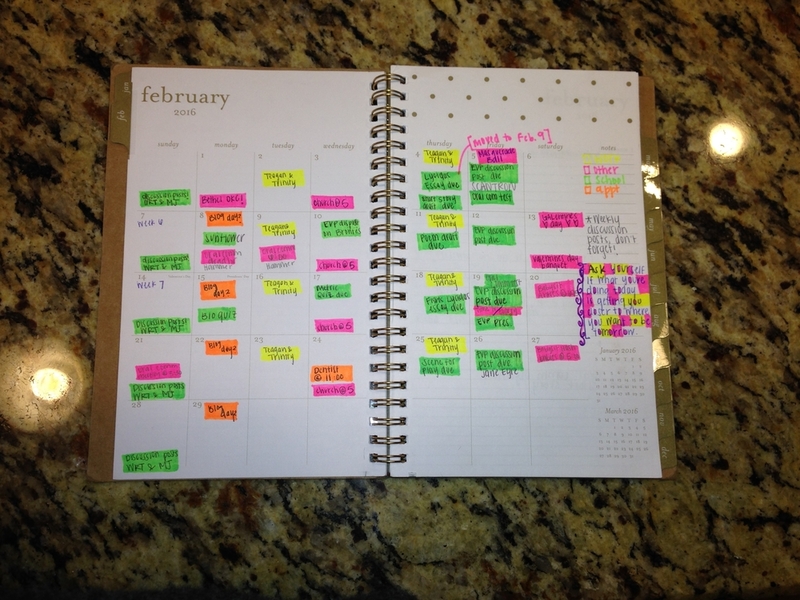 My planner keeps me sane during crazy weeks where I'm running around. 24. My family, they support me through everything and have seen me in my worst--and weirdest--moments. 25. Skinny jeans. All day, everyday. 26. Old houses with character. I'm in love with old plantation houses. 27. Cows. My favorite animal. 28. The smell of fresh laundry. 29. Blogging because I love you guys with all my heart. 30. Hot tea before bed. 31. Avocados on sandwiches, in chicken salad, in guacamole... All the time. 32. Gravy is my favorite food. No judgement. 35. Old things that have meaning. I love things with sentimental value. 36. My grandma is the cutest, wisest woman in the whole world. 37. Gardening is one of my favorite pastimes. I love planting things and watching them grow. 38. The smell of coconut because it reminds me of summertime and being tan. 40. The beach. I'm convinced that some people are meant to spend their whole lives laying on the beach, and I am definitely one of them. 41. Open windows especially on summer nights. Sleeping with my window open is the ultimate sign of summertime. 42. Doing hair. Braiding, curling, straightening.... I love it all. 43. Being cozy on rainy days. 45. Thinking about everything under the sun. 46. Listening to stories that old people tell. 47. Big cities, like New York City. 48. Pride and Prejudice, because it's my favorite movie/book combo in the whole world. 49. 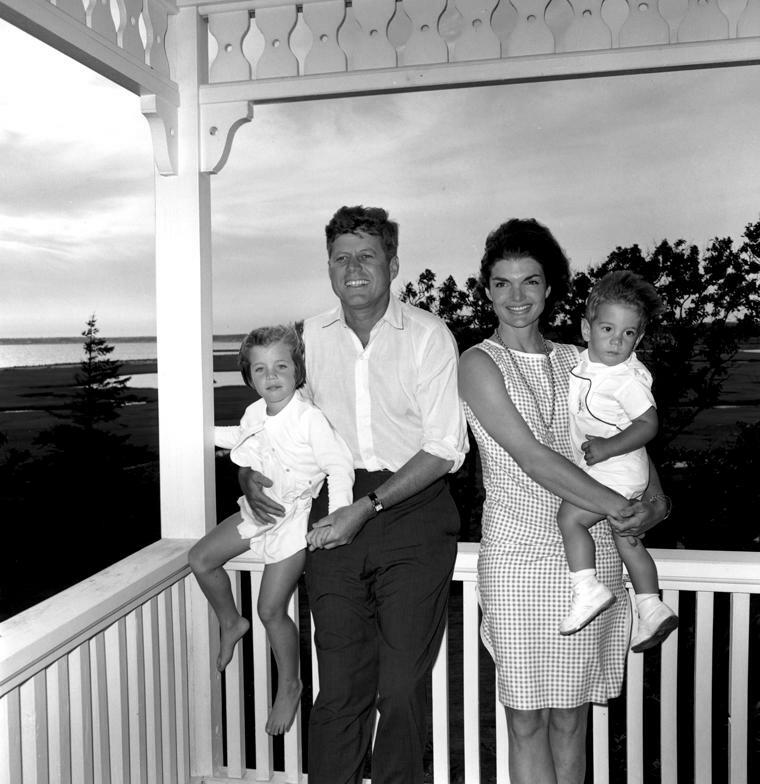 The Kennedy's. They're iconic. 50. My water bottle. I'm obsessed with staying hydrated. Hope that this helped you guys get to know me a little better. I'd tag every single one of you if I could! Don't forget to leave a link below if you decide to do this tag, too! My Favorite Place to Sleep: Tour My Tiny Dorm.